Third cave campsite is an overnight resting point on mount Kilimanjaro that is used by hikers on the Rongai and Northern circuit routes. 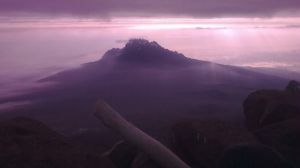 It is the third campsite on the Rongai route, after the Second cave campsite and is used by the shortest variation of the route that does not go through the Mawenzi tarn campsite. For those on the longest - Northern route, this campsite is the sixth, coming right after pofu camp. With the exception of the toilets (latrines), there are no cabins or built structures at this campsite, mainly due to the relatively low traffic of the Rongai route that leaves the campsite empty on some days. All climbers using this camp would need to bring their own tents, food and water that would normally be carried by porters. Just like the second cave campsite, it was named due to it proximity to a cave that was used for accommodation in the past, however this practice has since been banned by the park authorities. 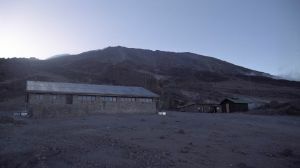 The third cave campsite is located in the northern eastern part of mount Kilimanjaro, along the border between the moorland vegetation zone and the alpine desert. Most of the vegetation here is comprised of scattered shrubs and bushes, along with scree and rocks. The next campsite after this would be the Kibo huts campsite or the School hut campsite, depending on which variation of the route is being taken. The northern circuit uses the school huts campsite next while the Rongai route uses Kibo huts. Are you associated with Third Cave campsite? Contact us to improve this page or create another page for your business.